We are also very keen to set up a Friends Group for the site, just like our neighbours on the other side of the tracks at Devonshire Road. If this is something that you would like to be involved in, please contact Jess Kyle for more information. There are many reasons why people want to start a friends group and not just because they want to improve their local greenspace. There are also many social benefits from forming a community group, for example, the chance to get to know your community and make a positive contribution to your local area, make new friends, get exercise, and the satisfaction that bringing about change can give you. Further benefits could include access to training, skills enhancement and improved employment prospects as well as general improvements to health and well being. Community involvement in the regeneration of green spaces has been shown to be of key importance and it can help in developing a sense of community ownership. Improving a green space can take a lot of work and commitment and is made easier if there are more of you and it is likely to be a funding requirement that you are part of a group that is representative of your local community. For more information on how to set up your own group, please see visit this very useful site from Leeds City Council. 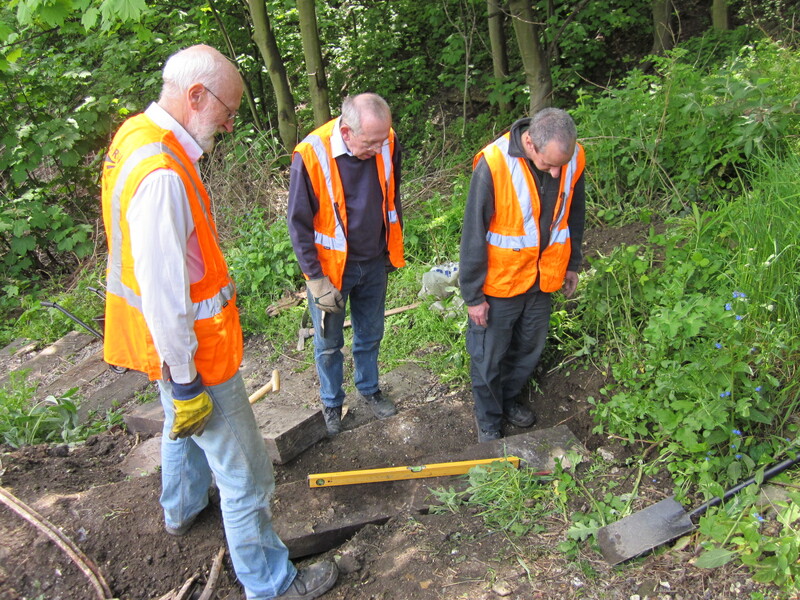 Many groups tend to start up with a specific project in mind – for example they may be concerned about the condition of a local area of open space or about litter in an area. The way to start up a new group is to get together with a number of people who share your particular interest or concerns. Some groups may start up with as few as two or three core members and that is fine although most groups will find that they benefit from having more members. The more members your group has the more able the group will be to support members and share out tasks. Often getting things done can require a great deal of enthusiasm and involve a lot of hard work and patience so the more people involved in your group the easier it may be! Burnt Ash Pond is perhaps the finest pond in the borough from an ecological viewpoint, supporting a good variety of aquatic plants and animals. It is also aesthetically pleasing, with its fringing trees and colourful iris beds, and is much loved by residents of the surrounding houses in Melrose Close. The site is open on the first Sunday of every month between 11am-12pm. Dacres Wood is a small nature reserve beside the railway line between Forest Hill and Sydenham. Despite its name, a major nature conservation interest on the site lies in its ponds and wetlands, which are relics of the old Croydon Canal. The site is usually locked (apart from the monthly open days) for health and safety reasons but is well used by both schools and conservation volunteers. A field centre, opened in 1993, is available for use by schools and also serves as a base for volunteer workdays. Sessions at the site can be run the Lewisham’s Nature Conservation team. If you are interested in using the site as part of outdoor learning, please contact them. The Friends group at this site is one of the newest to be established on Lewisham’s Nature Reserves and they are already very active! You can join them by filling out their membership form on their blog. Devonshire Road Nature Reserve forms part of the Forest Hill to New Cross Gate railway cutting. This is a site of metropolitan importance for nature conservation as it contains probably the finest suite of railside wildlife habitat in London. It is four kilometres long and over 200 metres wide at its widest points. You can use the walks leaflet to help guide you around Devonshire Road guided walk. Garthorne Road Nature Reserve blog is here!